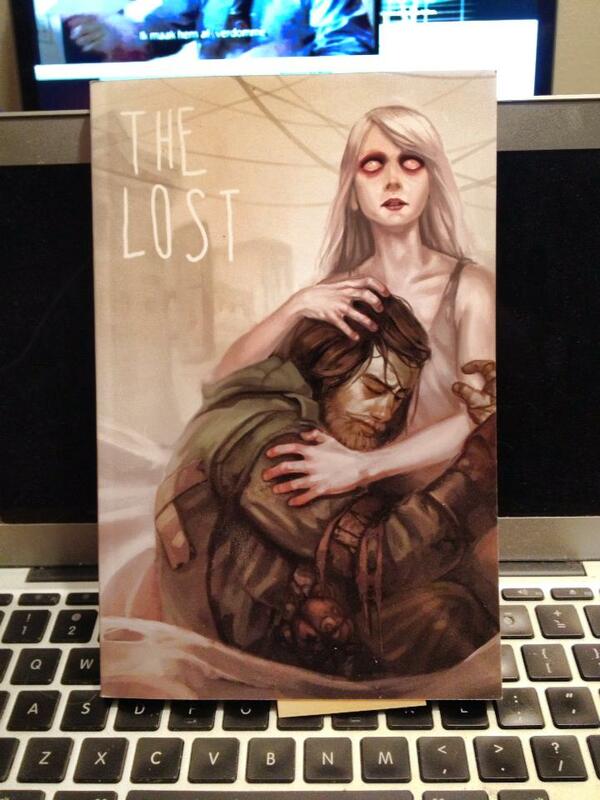 The Lost Anthology by Galileo Press. The other night I sat in my living room with my roommates and stared at a book in my hand. The Lost Anthology had arrived. And inside is my first published short story ever. The book has a gorgeous cover, designed by the talented Jeff Himmelman, who is also the designer of Kingdom of Nothing, the tabletop RPG setting in which the anthology is set. It’s published by Galileo Games, one of my favorite indie publishing houses, run by the fantastic Brennan Taylor. The volume was edited by the phenomenal JR Blackwell. Inside are short stories by many amazing writers, including my friends CJ Malarsky and Peter Woodworth. And the first story in the book is “The Case of George the Curious” by me. It’s even got a quote from me on the back cover. It’s a surreal thing to see your work in print for the first time. This isn’t my first publication – I’ve had a short scenario published for Cthulhu Invictus before and have had numerous blog posts and newspaper articles published over the years. Yet this story is my first short piece of fiction in a collection and right now, the book is in my hands. It hadn’t sunk in until that moment that this was a thing that happened. I’m so happy that it happened in this anthology as well. First, it was an anthology for charity for a company whose work I’ve adored for years. Also, I was around when Jeff Himmelman first started talking about Kingdom of Nothing as a game and got a chance to alpha and beta test the original tabletop, so seeing this in print now down the road from that design is a wonderful experience. But also, I’m reminded of all the great writing coaches and teachers who pushed me along when I thought for sure that I couldn’t do it. Teachers like Helen Phillips at Brooklyn College and Maya Sloan at NYU, as well as John Adamus my ever-present editor and friend (dare I say mentor? ), all made me a better writer. And because of that, this story exists. Damn, this is starting to sound like some award ceremony speech. But victories and successes are always like that in my head, because no piece of work just came from a single person. The folks who get you there deserve the celebration as well. So thanks to all of those who helped make this moment – my first short story publication – a reality. A first achieved, bucket list item ticked off, much more to come!